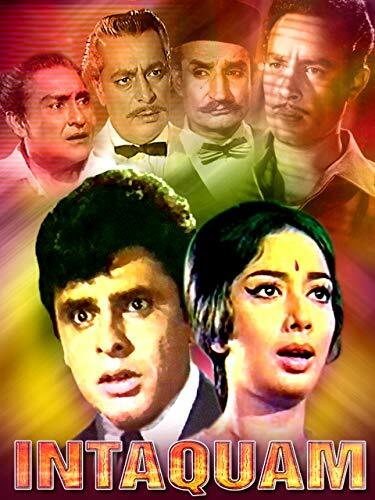 Description: Humiliated and falsely imprisoned, Reeta Mehra (Sadhana) swears to take revenge against Sohanlal (Rehman). Upon her release she finds out that her ailing mother (Leela Chitnis) has passed away, and this adds fuel to her vengeance. She then meets with Heeralal (Ashok Kumar), who was a former business partner of Heeralal, who went to jail to save him, and as a result had to serve a lengthy jail sentence. Upon his release, he finds out that Heeralal had not kept his promise to look after his wife and child. Heeralal coaches Reeta on how to go about their vengeance - their target is the only son of Sohanlal - Rajpal (Sanjay Khan); make him fall in love with Reeta; get them married and then extract vengeance from Sohanlal. But fate has something else planned for this group of people.Humiliated and falsely imprisoned, Reeta Mehra (Sadhana) swears to take revenge against Sohanlal (Rehman). Upon her release she finds out that her ailing mother (Leela Chitnis) has passed away, and this adds fuel to her vengeance. She then meets with Heeralal (Ashok Kumar), who was a former business partner of Heeralal, who went to jail to save him, and as a result had to serve a lengthy jail sentence. Upon his release, he finds out that Heeralal had not kept his promise to look after his wife and child. Heeralal coaches Reeta on how to go about their vengeance - their target is the only son of Sohanlal - Rajpal (Sanjay Khan); make him fall in love with Reeta; get them married and then extract vengeance from Sohanlal. But fate has something else planned for this group of people.